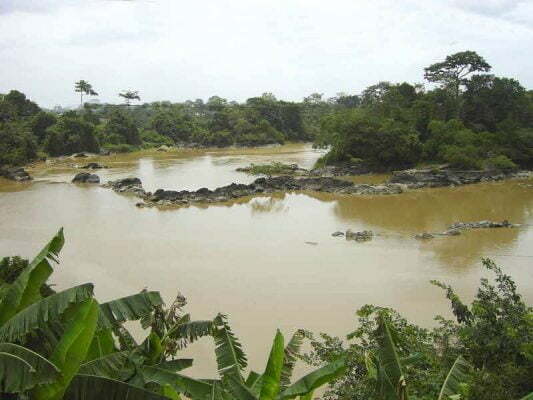 HUNDREDS of illegal panners have besieged the banks of the raw sewerage-polluted Sakubva River digging for alluvial gold deposits, in a development that has resulted in increased human activity in the adjacent Gimboki high-density suburb. Gold buyers are slowly trickling in to set camp near the illegal mining sites while vendors with various wares including food stuffs have since thronged the river banks. When The Manica Post visited the area yesterday morning, illegal panners were busy digging up for gold. Several shafts as deep as 15 metres have since been dug up along the river banks, posing serious environmental hazard. Some of the illegal panners were panning right inside the channel of Sakubva River, apparently brushing aside lumps of raw sewerage flowing down the river. “We came here five days ago and so far we have managed to get about five grammes. “This is hard labour and you can see for yourself that these shafts are deep. Can you imagine we dug up those metres in such a short period?” said one of the illegal panners who only identified himself as Lawrence. At night, the illegal panners take turns to guard the mining tunnels to avoid “pirates” who want to steal the gold ore under the cover of darkness. The panners said they were being paid an average of $120 bond notes per gramme, a figure which they said was too low. “There are few buyers here who are paying us peanuts because we have nowhere to go. We need money for food and other implements so at the end of the day we are forced to accept what they are offering,” said Lawrence. Fears have gripped residents of the nearby Gimboki high-density suburb who are dreading the outbreak of diseases as the raw sewerage-drenched illegal panners are constantly getting in contact with the location. Manicaland police spokesman, Inspector Tavhiringwa Kakohwa, said the police were yet to visit the illegal panning site.